Some restaurants are opting out of automatically bringing straws with beverages. I’ve recently been haunted by an image from a Royal Ontario Museum exhibit featuring finalists for the Natural History Museum’s Wildlife Photographer of the Year awards. You likely know the one – the photograph of a seahorse floating in the ocean and hugging a pink plastic Q-Tip. If ever there was a poster child for the proliferation of plastic in our world, the seahorse was it. There have been other frightening pictures of our plastic nightmare – marine life choking on bags and nets, massive whirlpools of floating garbage in the Pacific, rivers and beaches smothered in water bottle mountains. So much garbage is making its way into the ocean, it is estimated that by 2050 there will be more plastic in the oceans than fish. Scientists and environmentalists warn that we, and our planet, are going to pay for this plastic addiction. Plastic is pervasive and, in its microplastic form, has made its way into the food chain, into our air through fibre processing, and into our water – and no one yet knows what the chemicals in the plastic will do to our bodies in the long-term. But the world is waking up to this problem, especially when it comes to water bottles and single use bags. Countries such as Rwanda and Kenya have banned plastic bags. Morocco has gone one step further and set up hefty fines for anyone using, fabricating or importing plastic bags. 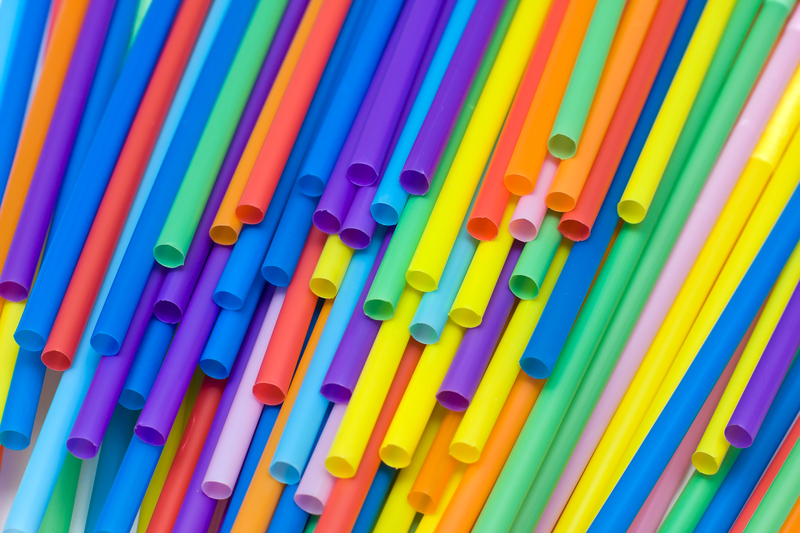 Seattle has banned synthetic straws (there is also a campaign here in Toronto which discourages their use). London is adding more and more street-level drinking fountains and bottle-refilling stations. The UK and New Zealand have banned microbeads (Canada’s ban comes into effect this July). But more needs to be done. In Canada, Montreal has prohibited plastic shopping bags as of Jan. 1 and Victoria, B.C. as of July 1. Local Coun. Mary-Margaret McMahon, along with Coun. Mike Layton, is calling for a combination of municipal fees, bans and improved recycling to reduce the proliferation of plastic bags, cups, lids, coffee pods, straws and take-out items in Toronto. Recently, the urgency to deal with plastics has been pushed to alarming levels by the refusal of China to continue purchasing our recycling. China was taking 50 per cent of the world’s recycling (for some Canadian towns, up to 80 per cent), but has said “no more” as of Jan. 1. Why? Ours is too contaminated to process and they have enough of their own to worry about. So, how do we remove plastic from our lives and our planet? There are petitions going around right now from both Stop Plastics and Change.org supporting a ban on plastic shopping. Every signature helps support our councillors’ call on plastics. It is not going to be easy – in Victoria, for example, there is already legal push-back from the Canadian Plastic Bag Association – but it is important to let all of our government representatives know that we demand a resolution to this growing problem. Many of you are already doing a great job by bringing your own bags, cups and water bottles and being solid stewards of the 4 Rs (Reduce, Reuse, Repurpose, Recycle). But let’s not stop at the 4 Rs. Here are some new Rs. Many thanks to the Friends of Glen Stewart Ravine for their suggestions. REWARD and REFILL – retailers that allow you to bring your own containers and fill them up, like Moberly Natural Foods, Bulk Foods. RESEARCH – what is in the containers that you are using, especially for baby products. Plastic is in everything – even some tea bags. Use metal, glass and vegetable-based products like bamboo. RESIST(ance) – volunteer for organizations like the Toronto Environmental Alliance and Stop Plastics. Sign the petitions. These are just some of the great suggestions that I received from my network, but I’d love to hear more. Do you have a favourite way of saying no to plastic? Please let us know, either by commenting on this story or by sending me an email. I will include some of the best ideas in an upcoming article. Katie Fullerton has lived in the Upper Beach for over 20 years. As a Live Green Toronto Community Animator, she learned the importance of community support in greening up Toronto. She is a past member of East Toronto Climate Action Group and is a member of Greening Ward 32. A member of Toronto Urban Growers, she coordinates the annual Scarborough Seedy Saturday and Green Fair.